When should I create separate Property Uses? How do I add a new Property Use to an existing property? How do I enter ground-floor retail? How do I enter swimming pools and hot tubs? Should I create a separate Property Use for a commercial kitchen in an Office? Should I create a separate Property Use for a commercial kitchen? What can I exclude from my property? Where is the Property Notes field? In general, EPA recommends you enter as few Property Uses as possible. For example, say you have an office with a restaurant, a health club, and a dry cleaner. EPA recommends that you enter one Property Use (Office), and include the Gross Floor Area (GFA) and energy of the restaurant, health club, and dry cleaner within the Office Property Use. You would also include the Property Use Details (Number of Workers, Computers, etc.) from the restaurant, health club and dry cleaner with the Office Property Use. Why? While it may seem logical and orderly to break out each Property Use separately, it does not increase the accuracy of your score (unless the Property Use Type can get a score). 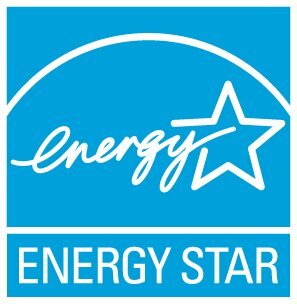 The ENERGY STAR score is typically based on CBECS data, which keeps a building designated as a single type as long as that type accounts for 75% or more. The Office in this example would be called “Office” in CBECS (provided the restaurant, health club and dry cleaner were less than 25% of the GFA). You’ll receive the most accurate score if you match this CBECS approach. In fact, even if you enter these Uses separately, Portfolio Manager will add them back together into the Office Property Use before calculating your metrics. Also, entering one Property Use will simplify your property and make trouble shooting errors easier.